I finally found a copy of the 1970 publication BC Almanac, a library copy. 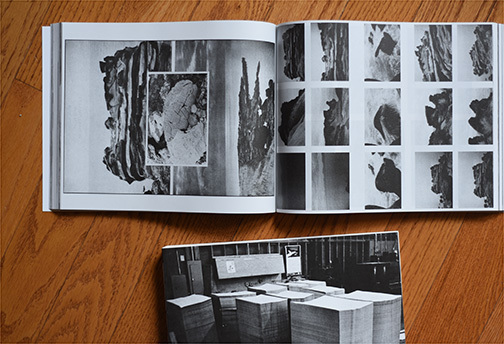 Quite unique for the time, it consists of 15 booklets printed on newsprint and inserted into a cardboard folder. 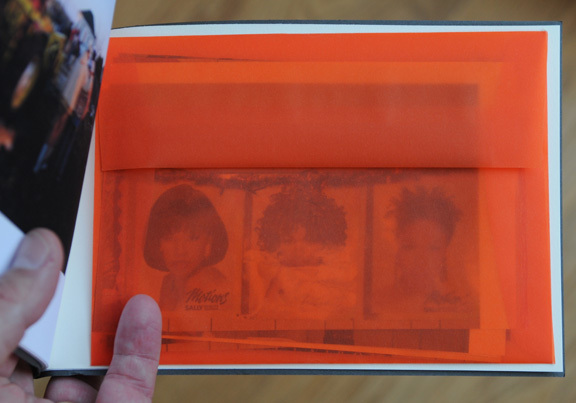 On the negative side, this copy only has nine of the booklets. 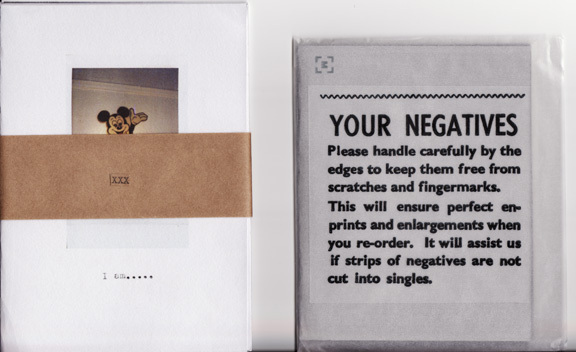 On the positive side the booklets by Roy Kiyooka and N. E. Thing Co. (Iain and Ingrid Baxter) are in the package. The Kiyooka and NE Thing images hold up very well (two booklets at right) but some of the other photographs look very much of their time. In this day and age where self publishing is a given and quite simple to do it is an eye opener to see this ambitious and inventive project from a time when publishing was much more of a challenge and effort . 1: You came to photography as career fairly recently. What made you or how did you come to make that decision to become a photographer? I started photographing in college actually, which was 15 years ago. We had a very small darkroom in the architecture school where I was studying and I was lucky enough to be able to work one-on-one with an architectural photographer, who taught me quite a bit in a short amount of time. I’ve been committed to building portfolios of work for about 6 years. 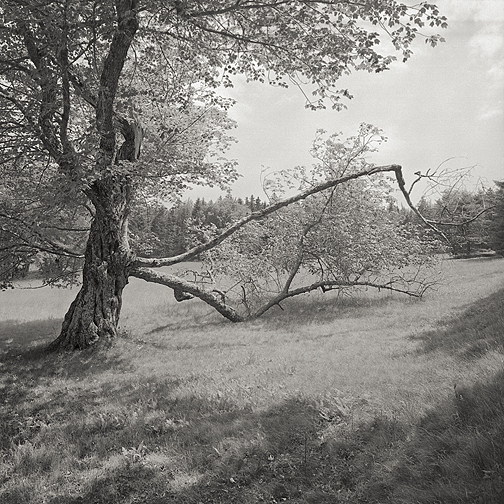 It started after seeing a retrospective of Harry Callahan’s work at the National Gallery of Art in Washington, DC. 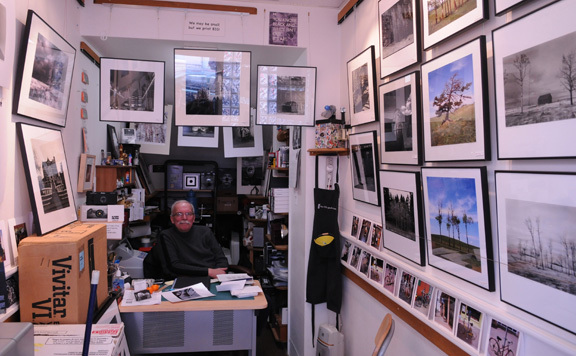 I knew, when I saw his prints, that I wanted to dedicate myself to being able to print and photograph at the high standard that he was. From there, I started taking intensive workshops and reading whatever I could find to hone my technical abilities. 2: How would you describe your photography? I would describe it as stories that build slowly, where one image leads to the next and an understanding comes at the end, when some conclusion is made. I tend to work from the inside out, using photography as a way to communicate what my fears are, what my hopes are, what I long for. 3: You use film, why? I use film for two reasons. The first is because it gives me the best quality files to be able to print from. 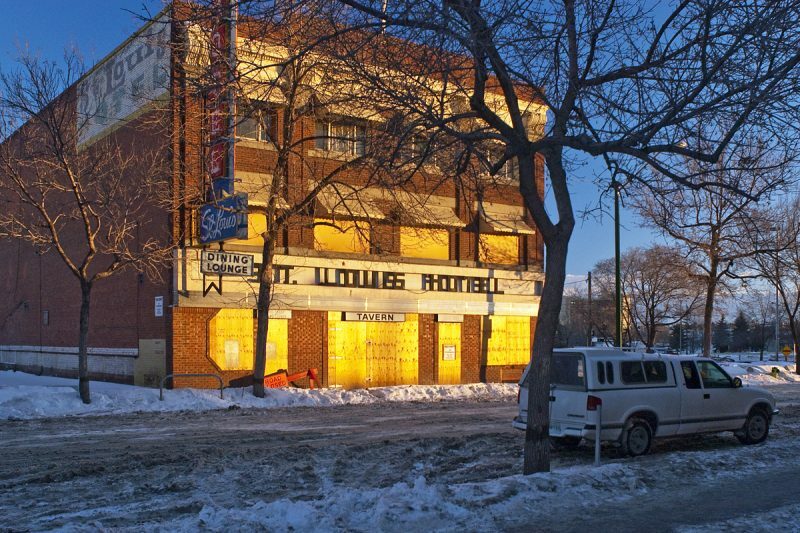 I have not experienced a digital camera that can give me the range of light that film can. The second is habit. I have my process down, I’m comfortable with it, it’s what works for me. 4. How do you print, digitally or traditional wet darkroom and why? I print digitally because I have the most control that way over my prints. I used to be a darkroom printer and I’ve also tried platinum, but I like, for example, to be able to control localized contrast and sharpening, both of which are problematic in traditional wet darkroom printing. 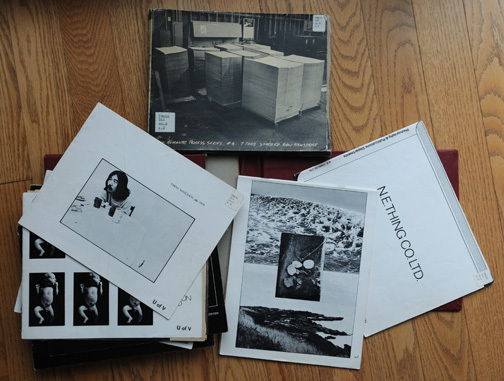 5: You’ve created two books of your photography. Self published photo books are extremely popular right now but yours are different in that they are very high quality. 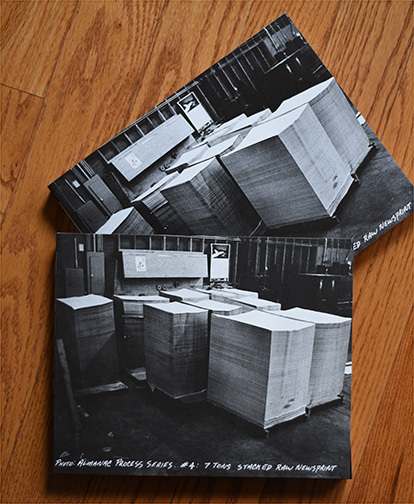 Most photographers are printing lower quality/priced volumes. Why did you decide to go a higher end project? I decided to make handmade books filled with original prints because I haven’t found a print on demand option that can produce the level of printing that I like to present my work. Print on demand books are also quite expensive to produce, not that much less than what it costs to produce my handmade books. I think they are perfect for many photographers, it’s just not the kind of presentation I’m interested in for my work. 6: What were some of the challenges you faced in producing your books? 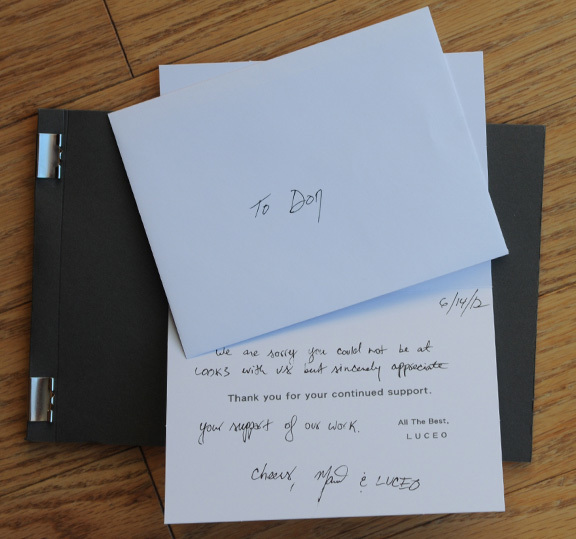 The downside to producing handmade books is the amount of effort, time and upfront costs associated. There are more options to consider, what paper, what binding, what edition size that go into the process. 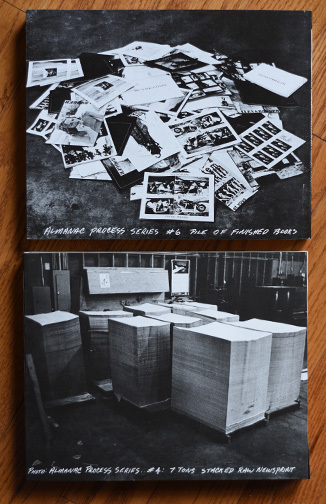 Hand-printing an edition of 60 books with 39 images in the book is a huge undertaking, and I’ve learned, as I’ve gone through it, how to get better at managing my time, but it’s still a huge process. 7: You’ve had numerous gallery exhibitions of your work. 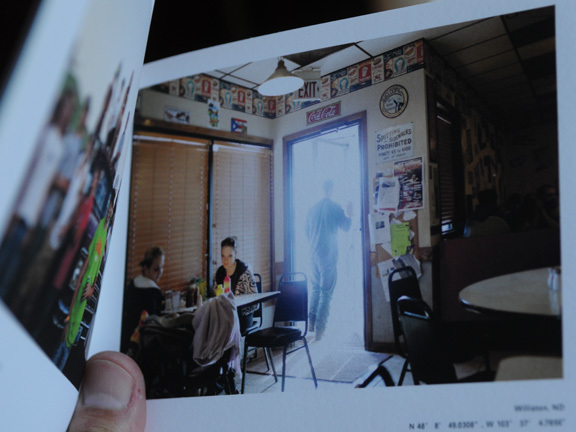 How do you see the difference between the ‘gallery’ of a book and images hung on a wall? The biggest difference is the ability for the artist to control the viewing experience more. Usually, with images hung on a wall, people move to look at images that interest them, they can skip images, or move out of the order the artist intends. With a book, beyond just controlling that viewing experience, you can go beyond just the sense of sight and incorporate touch, sound, text, and other means of telling your story more carefully as well. In addition, a book is a personal experience, it is something usually done alone, and is portable also. 8. You live in Portland, Oregon which does have a reputation as an artist friendly city. Would you agree? What is the attraction for a photographer? It’s definitely an artist friendly city. 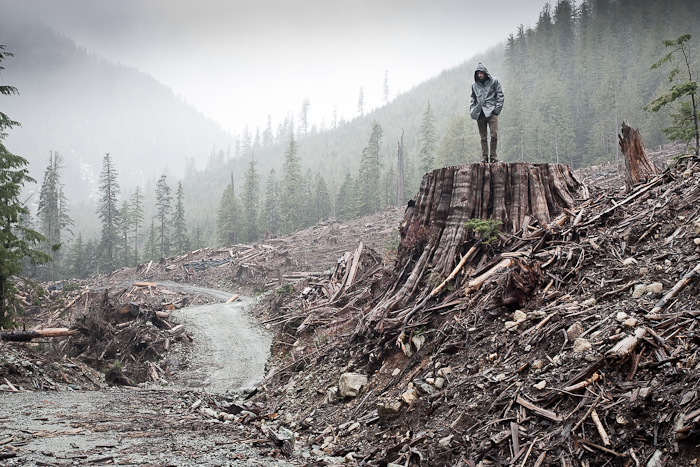 There is a large artist population, not just limited to photographers. There are large printmaking, book arts, and graphic arts communities as well. 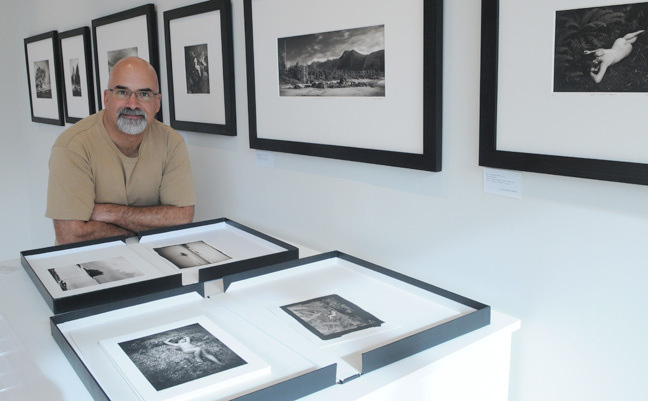 The attraction is to be surrounded by other photographers that are working artists, not just hobbyists, and to also have galleries importing good works to show as well. The point is keep pushing forward, and part of that is being exposed to other good work. 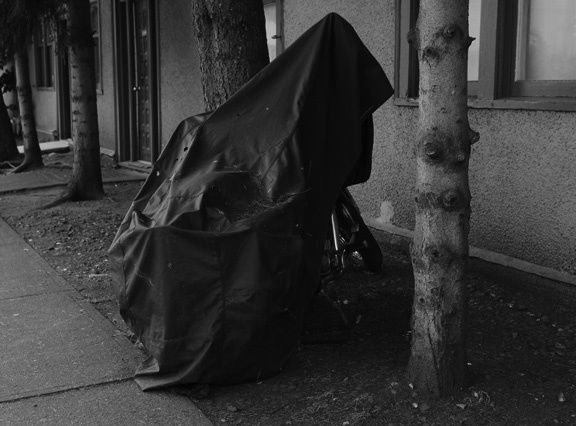 9: You’ve photographed in Nova Scotia and are currently doing work on Salt Spring Island. What;s the attraction of Canada? There wasn’t an attraction to Canada per se, although Canadians do seem more open to me freely trespassing on their property! I went to both places because they looked like beautiful places to go and photograph, not because they were in Canada. I should say that Canadians have treated me wonderfully, and I’d like to do more work there. 10. You have a site, Photo Radio, where you offer sound only interviews with photographers. In these days of YouTube, why radio rather than video? I don’t know the first thing about video. And frankly, it seems pretty intimidating to me. I’m not sure what you would get from video that you can’t get from audio. I also prefer stripping away the visual at times and just focusing on someone’s words and thoughts, I think it puts everyone on a level playing field. 11. You offer workshops in marketing yourself as an artist. What is the attraction for you of teaching a workshop? The attraction is being able to share what I have learned in the hopes that the information or experiences that I have will be useful to others. There are so many aspects to being a successful artist, I have always been as open as I can in sharing what knowledge I have with others, I would hope for more of that actually from the entire community. 12. What are your top three tips for anyone wanting to become a fine art photographer? I only get three? I can’t do less than four! 1- Hone your craft. If you don’t have the foundation to craft good photographs and prints, you’re going to be leaping way ahead of yourself and eventually, you’ll have to come back, so might as well learn to take good pictures and make beautiful prints from the start. 2- Make connections. The biggest part of gaining an audience for your work is through making connections with anyone associated in fine art photographer, whether that be other artists, or curators, or even writers. You never know how someone can help you or your career, so talk to lots and lots of people. 3- Develop a thick skin. There is so much rejection involved with trying to get your work out there, that if you’re sensitive, it will be a problem. I have been rejected so many times I’ve stopped counting, and even though I know it could have very little to do with me or my work, it’s still tough to swallow sometimes. 4- Give back. No matter how much or how little success you experience, you should always try to give back to the community, to nurture younger photographer, to educate, and to encourage sharing, acts that benefit us all. Lauren Henkin’s site is HERE. 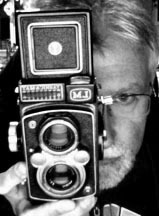 Documentary photographer, and rising art star (check out the 12 page spread in the Fall 2010 edition of Canadian Art magazine) Donald Weber has a new book INTERROGATIONS coming out in the fall of 2011. 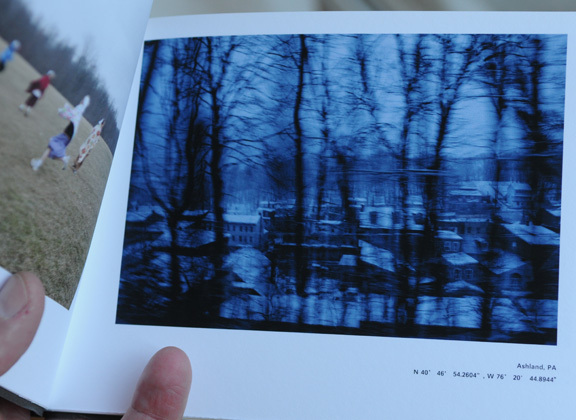 Published by Schilt Publishing, features more of Weber’s images from Eastern Europe. ‘Interrogations is the result of his personal quest to uncover the hidden meaning of the bloody 20th Century. 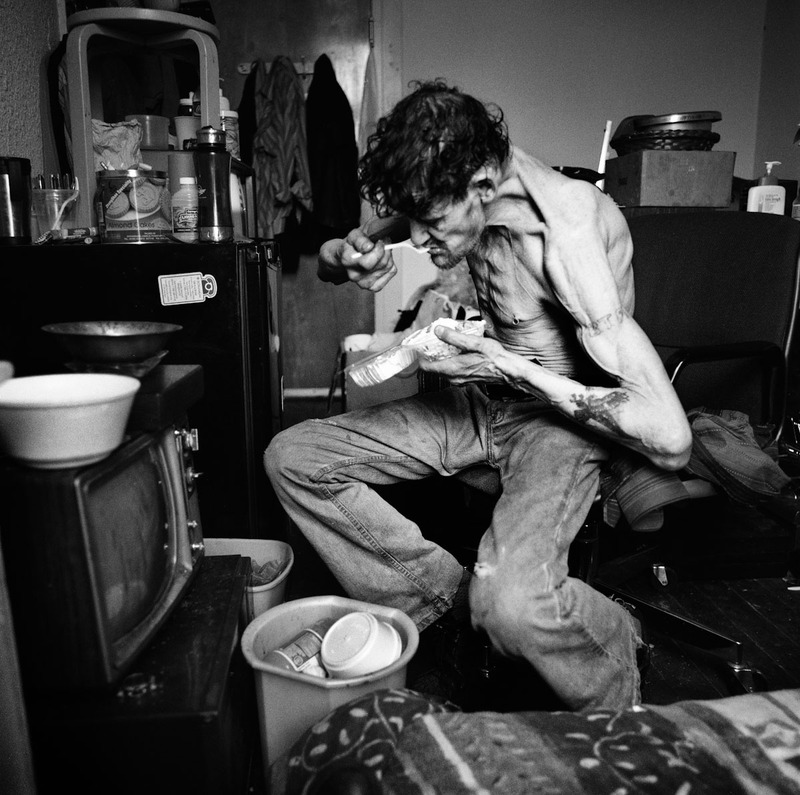 In dialogue with writer Larry Frolick – whose own ancestors had been decimated in the final months of WW II – Weber insistently and provocatively addresses his questions both to the living survivors and to the ghosts of the State’s innumerable victims, resurrecting their final hours by taking their point of view, and performing a kind of incantatory meditation over their private encounters with Power. Weber will be selling a number of collector’s editions to help support the publication of the book. 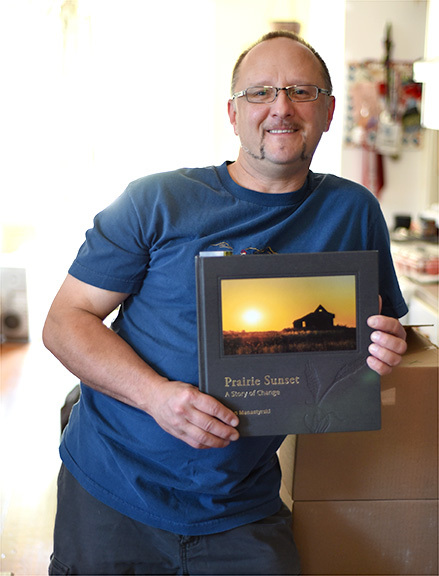 Buying at Bronze edition at $200 will get you a 8×10 signed print and a signed specially packaged edition of the book. The Gold Edition, at $1000, gets you the choice of one of five 30×40 prints (each an edition of 3 Artist’s Proofs) plus the signed packaged book. You can get more information and order the special editions here. Looking for another idea for Christmas presents, check out all the self published photobooks from the Self Publish Be Happy shop. If you’re looking for a non-photo related stocking stuffer, how about something as truly Canadian as a toque or tuque, however you like to spell it. These toques though aren’t for keeping your head warm, they’re for keeping your beer cold. Check out The Drink Toque here. 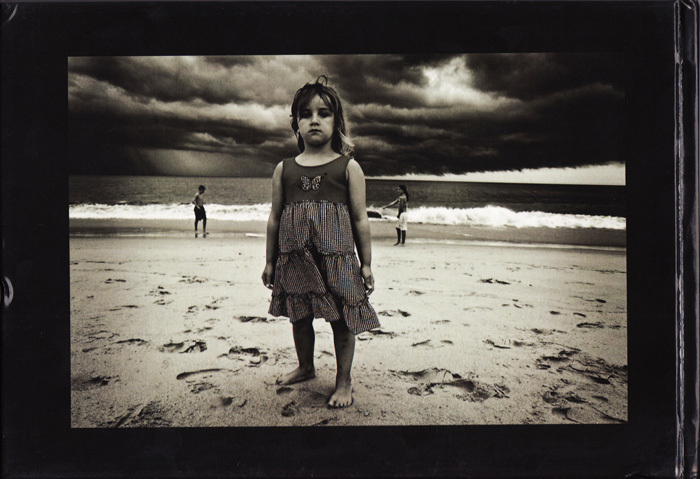 One last suggestion, if you can’t afford an original print from Magnum’s Australian photographer Trent Parke, you can certainly afford a poster created from one of his photographs, available for $10 from Little Brown Mushroom Books. 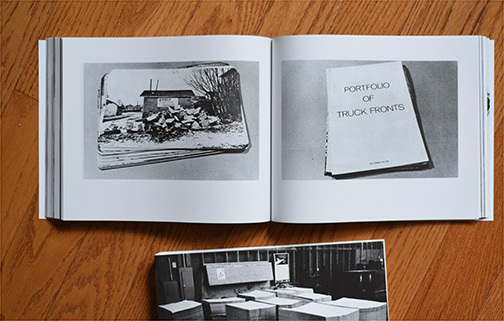 A very positive offshoot of the boom in the interest in photo books is that we’re not only seeing more professionally published volumes but we have so many independent publications available. 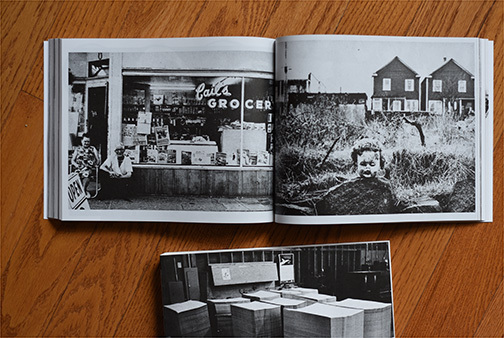 One of my daily stops on the internet trail is The Independent Photo Book site put together by Jorg Colberg and Hester Keijser which posts about books and zines published by photographers and/or very small presses. One of the attractions of these books is their low cost. Granted the books may be tiny and some are produced in a very basic fashion but that’s part of their charm. 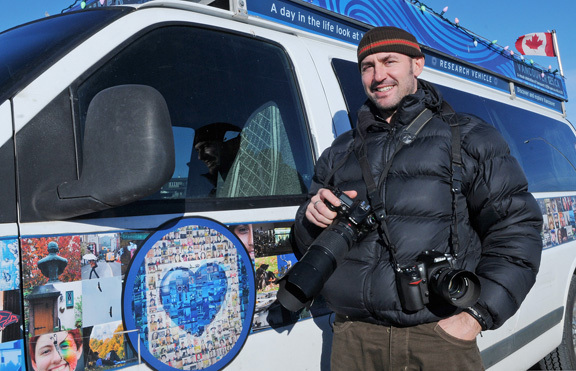 It’s also easier to take a chance on a photographer’s work when you’re only handing over a few dollars. 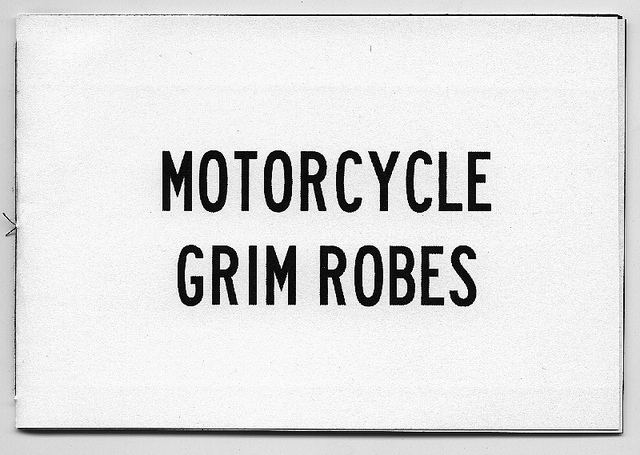 The other day I checked in on Alexandre Lemire/Wolf Peterson’s Photo-Documentation from The Field site and I saw he had a new publication out called Motorcycle Grim Robes. I’ve bought a couple of Lemire’s zines before but this is a small (16 page) book or at least has heavier covers. I immediately hopped over to PayPal to purchase the publication. This book intrigued me not only because I like Lemire’s work but because the photographs are of motorcycles draped in protective covers. 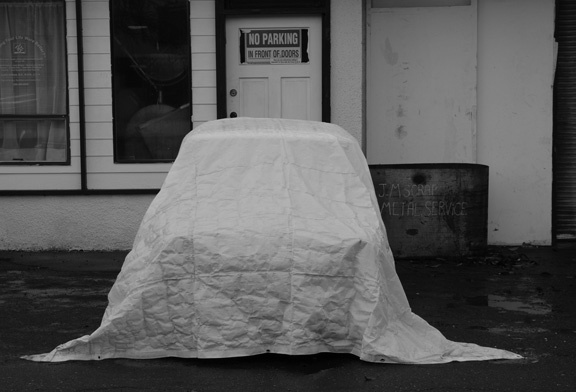 I’ve been working on a project myself which I’ve just been calling Wrapped with is a series of images of vehicles of all sorts wrapped in protective covers. 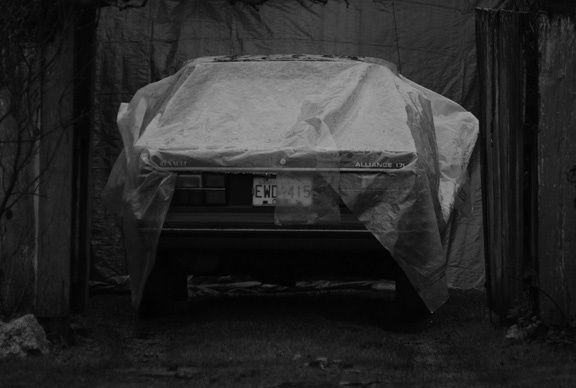 I find that vehicles draped in fabric make interesting and ambiguous images.. Lemire seems to find it makes the vehicles more mysterious and threatening. 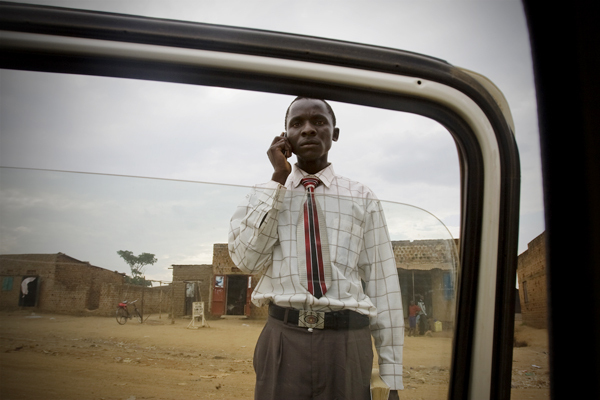 I think it’s interesting to compare image from series that focus on same subjects. Here are a couple of photos from my series. I’ve been enjoying the proliferation of independent photos books being produced by a variety of photographers and promoted by sites like The Independent Photo Book and Little Brown Mushroom. One series of books that I’ve been ordering and enjoying are those produced by Adam Murray and Robert Parkinson, the two English photographers behind Preston Is My Paris. I really like their idea that you need to take your inspiration from wherever it is you live. 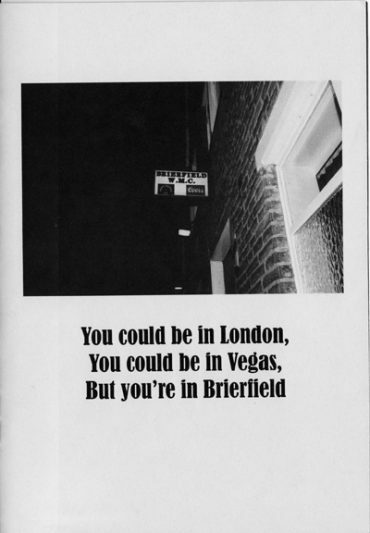 Each book is different in style and design and they all have little touches that really make them unique, like the see through sleeve on Your Negatives or wrap around band on I am… Their newest book is the one shown first, You could be in London, You could be in Vegas, But you’re in Brierfield. It’s funny but so true for most of us. You can order their books through their publishing site here. They are sold out right now but will have more publications coming. Just so you know, Preston is in Lancashire, north of Manchester ( I admit, I googled it) An article on the pair and their projects here. 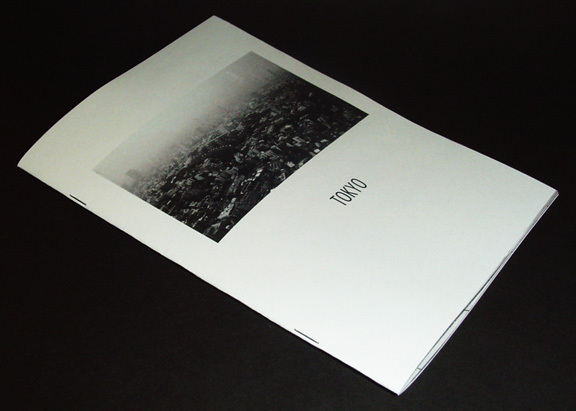 UPDATE ______They have a new book out Tokyo, check their site and see photo below. 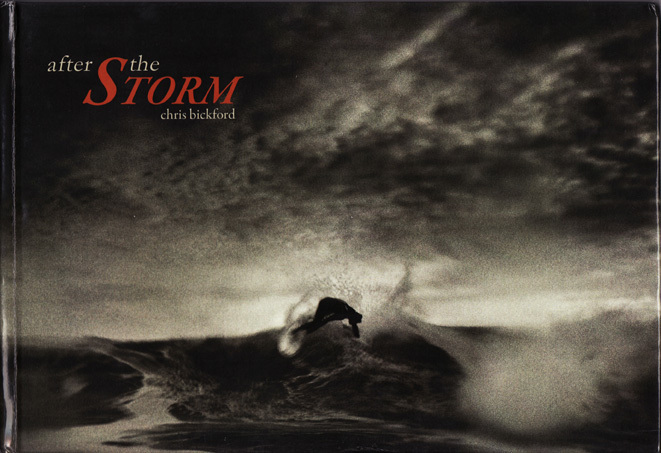 I first came across Chris Bickford’s work on the NY Times LENS blog a couple of months ago and really enjoyed his dark contrasty surfing images from North Carolina, not the first place that springs to mind when you think of surfing ( and I live on Vancouver Island where the main surfing happens during the cold, wet winter months, again not the first place you’d think of surfing). Chris self published a book of the images which is entitled ‘After The Storm” and I ordered a copy which arrived a few weeks ago and it’s a great book, a combination of the images as well as text that explains the Carolina surf world in a way that both explains to novices and would appeal to seasoned surfers. Chris has sold out of the first edition but has another on the way and you can order through his site here on his July 20 posting although if you want to check out his work, here’s the main page for his website. Chris also sells prints from the series..
It’s always such a great moment when a package arrives in the mail that contains an item you’re really been waiting for and there was an added little cool moment when I noted the return address on the envelope – Kitty Hawk,. I know when you live in a place it all seems commonplace but when you were a kid in school and heard about Kitty Hawk as the place where the Wright brothers made the first flight it became one of those places that doesn’t seem quite real. The NY Times mentions that Chris lives in Kill Devil Hills, a name that I would imagine would be a real conversation starter.